We’re inviting art enthusiasts to talk about why they collect art and to share their favourite pieces. Dee Smart is a Patron and the former Executive Administrator/CEO of the RWA. She currently works as Deputy Head of Public Engagement at the University of Bristol. I collect fine art and crafts. I mainly collect paintings, drawings, prints, studio and art jewellery, although I have some ceramics and textiles. I get excited by things that women and men have spent time conceptualising, designing and making with their own hands. I have a deep appreciation of the thoughts, emotions and energy that such pieces carry. I was brought up in an artistic family. My father – Dobrivoje Beljkasic – was a professional artist and both my parents shared a passion for art and music. In my parents’ circle of friends there were a lot of artists, so from an early age I was introduced to visiting artists’ studios and art galleries with historic art collections, as well as those exhibiting works by contemporary artists. During his career my father also taught art and was in charge of developing the primary and secondary art school curriculum in Yugoslavia. While he was writing school text books with colleagues, I took great interest in the selected images of historical artworks from different civilisations and the accompanying texts. This was my early introduction to art history and cultural heritage, from Altamira cave paintings and the beautiful soulful El Fayum portraits, to 20th century artists, such as Bridget Riley and Henry Moore. That interest continued throughout my life. When I graduated, my parents gave me some money to treat myself. I chose to buy an artwork with that money. 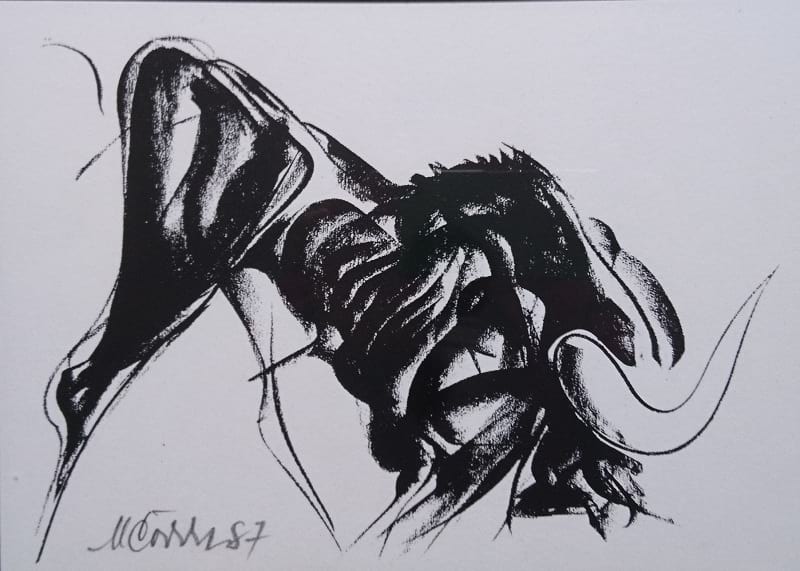 It was a mighty charcoal drawing of a bull by Milorad Corovic, a Yugoslav artist, 1932 – 2010. That was the start of my collecting. My taste is quite eclectic, without a particular specialism. 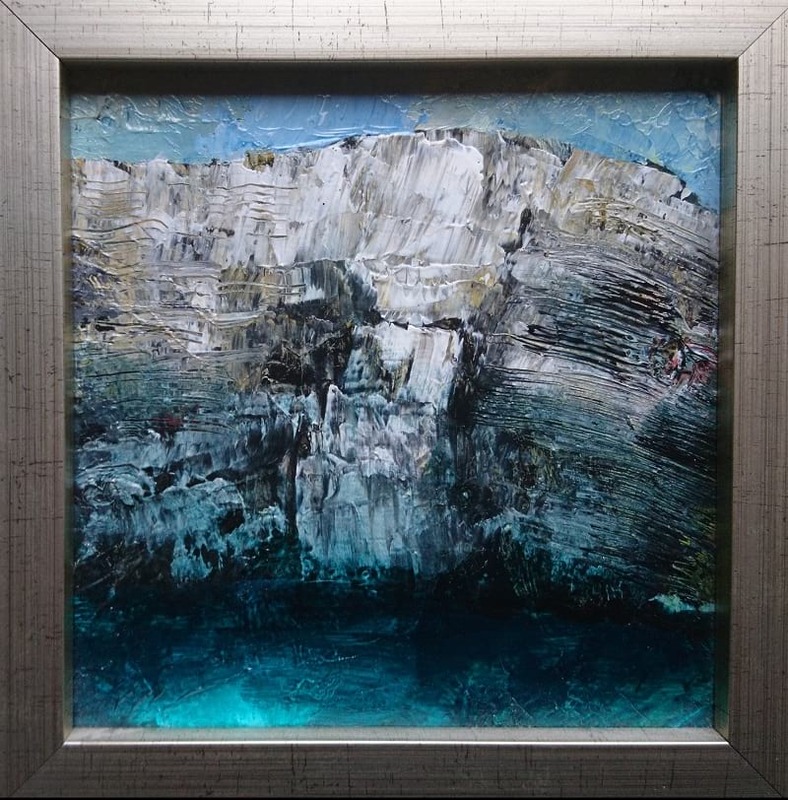 Generally, I like works that speak to me on an emotive level, whether it be the subject matter, the colour palette, a certain energy emanating from it, or a personal connection with the artist. I also appreciate the craftsmanship that goes into producing some artworks, such as masterly drawings or intricate wood engravings. When buying jewellery, I often go for handcrafted pieces that combine precious and non-precious materials. I look for craftsmanship and the use of unusual materials, such as maps, skateboard fragments, resin, etc. I buy works by contemporary living artists, as I like to support people who make a living making art. For instance, buying a historic artwork from an auction house would not appeal to me, despite its investment potential. It’s always nice to see an artist making it in the artworld and her or his works selling for thousands of pounds, but for me that would be a nice bonus, rather than a reason to acquire their work while it’s still affordable. I also visit degree shows and buy graduate work. I particularly enjoy visiting artists’ studios and buying directly from artists and makers. Sometimes my husband and I buy artworks when on holiday, as a memento of a nice time spent together, an interesting landscape or a recollection of a certain quality of light that we don’t see in England. When making decisions what to buy, we are also mindful of the space available in our house and the need to find a good spot for it, where it can be viewed and appreciated. Yes, on a number of occasions. The RWA Annual Autumn Exhibition is often an excellent opportunity to find real gems. I have bought works by Maxine Relton RWA, Simon Garden RWA, Derek Balmer PPRWA, and others, but I have also been very fortunate to receive gifts by many Academicians after finishing working at the RWA, which are very dear and precious to me. The rotating Open exhibitions are also an excellent source of contemporary artworks focused on a particular discipline, such has sculpture, drawing and printmaking. I bought works from previous Open Print exhibitions. Other temporary exhibitions provided unique opportunities to buy works by emerging artists. One such exhibition was Crimes of Passion, back in 2009, where I bought some work by graffiti artists. Many artworks in our collection have a story to tell. However, most of our visitors comment on a stunning painting by Derek Balmer PPRWA. Indian Summer is a large oil on canvas bursting with colour and warmth, with hues of red, orange and golden yellow. He brought it into my office one day, as I was finishing working at the RWA. It was a most generous and most wonderful leaving gift, a memento of my time at the RWA, of all our highs and lows, of a special team of people and a great bunch of dedicated Academicians, of six most challenging and most rewarding years of my working life. Indian Summer greets me every morning when I come downstairs, and it lifts my spirit every time I look at it. It is a very special piece indeed. There is also another little painting that has a story attached to it. I was travelling through Mostar a few years ago and, by the old bridge over the river Neretva, I spotted a small art gallery and artist studio. It was the studio of Salko Pezo, a local artist. I had heard the name but had never met him before. In conversation I found out that Salko had been working in the theatre during the ’92 war and that one of my Dad’s paintings was hanging in his office. Describing the war years and the immense damage the theatre and the whole town had suffered, he recalled that his office remained miraculously intact throughout the conflict. Describing how he felt safe there, he also recalled thinking that my Dad’s painting was somehow protecting that room, and him in it, and maintained a sense of normality amidst the chaos. Seeing it on the wall every day was somehow reassuring. I don’t know what happened to Dad’s painting afterwards, but as a memento of that chance conversation and my visit to the beautiful medieval town of Mostar, I bought a little painting of the Neretva Canyon by Salko. I wouldn’t say I am haunted, but there is one that I wish I’d acquired. 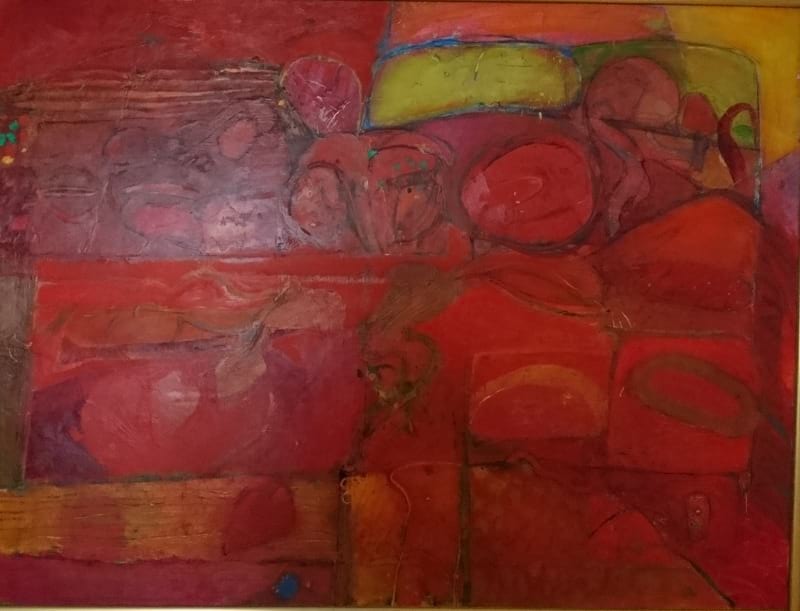 It was one of George Tute’s oil painting exhibited at the Autumn Exhibition a few years ago. It was an autumnal scene in the park with a red kite and a dog walker. I loved that painting and was waiting for the exhibition to officially open before I could buy it. However, on their customary walk-about before the public opening, the RWA President and a couple of other Council members decided to acquire it for the RWA’s Permanent Collection. Ah, well, at least it went to a ‘good home’! In a way, I am glad that it is in a public collection where I, and many others, can see it. I guess that would depend on their motivations, as well as budget. There may be many motivations for buying art, but I guess the ultimate question is whether they have a deeper connection with a particular artwork, or whether they see an art work as an investment. A good starting point is to ask oneself these questions to understand one’s own motivations, the purpose of collecting, and what needs it fulfils. The questions of what artworks and artists to acquire, and how to go about doing it, will be much easier to answer once we’ve answered our own question Why. And if this sounds like too much hard work, go with your instinct and buy on impulse. When you see something you love, you will know that rational analysis won’t matter much. If you could only keep one work, which would it be and why? 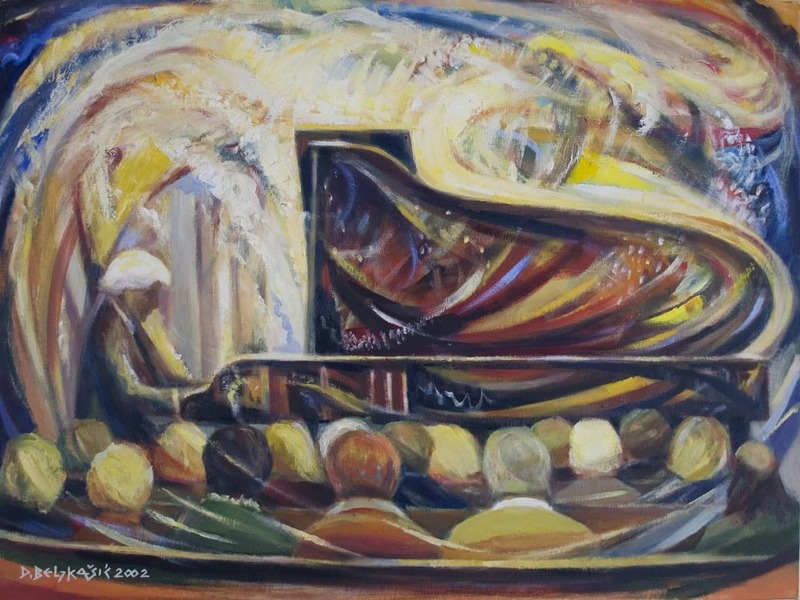 If I could save one painting it would be Piano Concert by my father. He painted it after going to a concert at St George’s in Bristol. Mum and Dad are in the foreground, sitting in the audience. He painted it in 2002 but it was based on one of his early paintings, cca 1948, which we believe perished in the fire when the entire contents of his studio in Sarajevo burned down. To me, this painting makes a connection between their previous life in Sarajevo and their new life in Bristol, capturing their lasting love for each other, and their shared passion for art and music. 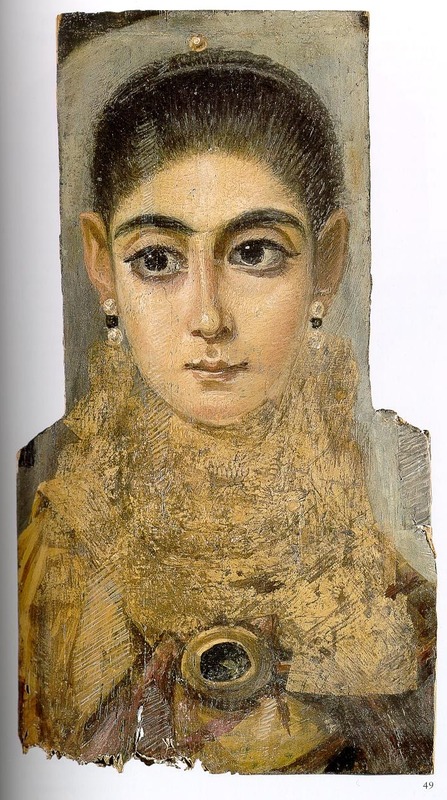 A Fayum portrait of a young woman. I find these portraits enchanting. They look right at us as if inviting us to a conversation. What would we say to each other? Would we be able to get beyond our temporal and geographical distance? Or would we connect on a deeper, human level? What would our dialogue be like? Painted between 1st Ct BC and 4th Ct AD, they also display a fascinating mix of styles and cultures of the Greek, Roman and Egyptian empires.